Purpose: Oral diseases continue to burden a significant portion of the American public, especially those in low-income groups. The misconception that oral health is less important than general health exists among America's citizens even though it has been 13 years since the Surgeon General's report affirmed oral health as an essential component of general health. Research has shown that poor oral health literacy (OHL) affects oral health, can negatively influence quality of life and has a significant financial impact on society. National initiatives to increase the OHL levels of American citizens include training health care professionals about effective communication skills and disseminating oral health information to groups outside of dentistry. This paper describes a new course on OHL and communication techniques for dental hygiene students at the University of Maryland, School of Dentistry. Patient populations with limited OHL skills are associated with the highest levels of disease and the worst oral health outcomes.5,9,10 The effects of low OHL can have a domino effect on society and may be passed down from generation to generation.11-13 Children of parents/caregivers with low OHL levels tend to have more dental infections which may result in difficulty eating, concentrating in school, increased emergency room visits and hospitalizations.14 Children who suffer from dental disease often grow into adults with dental problems, which may lead to difficulty in acquiring a job, decreased self-esteem and poor general health.15 Incorporating OHL and effective communication techniques into oral health care practice, together with disseminating this knowledge to individuals outside of dentistry, can help address the oral health care crisis among America's most vulnerable patient populations. In addition to improving the OHL levels of patients, dental hygienists are in a position to disseminate oral health knowledge beyond the dental setting to community leaders, educators and health care providers outside of dentistry in an effort to shift the focus from treating oral disease to preventing oral disease. If messages such as this are promoted to outside groups, perceptions of oral health may begin to change in America. Dental hygienists can embark on this challenge by networking in professional organizations such as the American Dental Hygienists Association (ADHA) and the American Dental Association (ADA), state-level advocacy groups, and through outreach activities such as community oral health presentations in elementary schools, Boys and Girls Clubs, and similar organizations that reach beyond the dental setting and have the potential to impact lives. Oral hygiene instruction has been a part of dental hygiene curricula since the profession was established. Dental hygiene students are traditionally taught about oral diseases and become experts on numerous self-care devices and techniques to encourage patients to improve their self-care habits. In recent years, research has shown that assessing patients' health literacy levels and applying compatible communication techniques should be incorporated into oral health practice, beginning with its insertion into dental and dental hygiene education and continuing education programs.17,20 Infusing these topics into dental hygiene curricula will help prepare dental hygienists to effectively communicate with patients during and following their formal academic training. Interpersonal relationships, which are built upon the quality of patient-provider communication, appear to be as important to patients as the clinical aspects of oral health care.21 According to Rozier and Horowitz, negative provider-patient interactions are more likely to result in negative oral health outcomes, whereas positive provider-patient interactions have been shown to decrease anxiety, and increase motivation and satisfaction.22 If students can develop and embrace the importance of high-quality communication techniques during their formative education, there is an increased likelihood that these skills will continue into professional practice following graduation. The dental hygiene program at the University of Maryland, School of Dentistry incorporated a 1 credit, stand-alone OHL and communication course into the required core curriculum for the first time during the Fall 2011 term. The course prepares dental hygiene students to effectively communicate with patients from diverse groups. Introductory information focuses on defining OHL, its role in general health, how it affects patients' oral health status, and its relevance to dental and dental hygiene practice. The importance of inter-personal relationships between the dental hygienist and the patient is emphasized as a critical component to addressing the oral health crisis in America. Students learn how to assess patient literacy levels both informally, through specific responses and interactions when collecting health history and risk assessment data (e.g., continual sipping of soda and/or gestures indicating confusion with the dialog may indicate a lower OHL level) and formally, through the use of validated literacy assessment questions such as those developed by Chew et al12 and Pfizer's health literacy assessment tool called The Newest Vital Sign.23 Oral administration of formal health literacy instruments is suggested in situations when a patient's reading or language skills are in question. Students are then introduced to specific communication techniques compatible with various OHL levels. The next component of the course focuses on barriers to effective communication and basic techniques to overcome these obstacles. These barriers can be road blocks in the exchange of information between health provider and patient. Barriers are unique to the individual and can be physical, psychological and/or sociocultural in nature. Physical and psychological barriers may include fear, lack of trust and physical discomforts in the dental chair (e.g., pain, loud noise, temperature discomforts). Sociocultural hurdles, such as language barriers and perceived insensitivity by health care providers, could influence patient frequency of dental visits, adherence to self-care recommendations and oral health outcomes.24 The course explores various cultures via small group discussions to help prepare students to recognize and appreciate diverse attitudes, values, and self-care habits within and between cultures. Students learn that “non-verbal cues make up 80% of interpersonal messages” and may indicate feelings of discomfort, surprise, fear and/or confusion.25 Some examples include not making eye contact, opening eyes widely and cocking the head to one side.26 It is explained that non-verbal cues may indicate a potential barrier to patients making positive oral health decisions and achieving optimal oral health outcomes. Regardless of the specific barrier, students learn the significance of their role in eliminating communication obstacles. This, in turn, increases the likelihood of improving OHL and positive health outcomes. As students become more culturally competent and proficient in assessing OHL and using communication techniques, the course shifts its focus to the application of these techniques in all aspects of dental hygiene care, beginning with the gathering of health history and risk assessment data. It is essential that health care providers communicate in a manner that elicits accurate information from the patient in order to determine disease risk and formulate customized dental hygiene care plans. Course content is delivered primarily via classroom presentation and videotaped samples of interactions between dental hygiene students and patients, and dental hygiene students and supervising dentists. Students participated in role-playing activities with fellow classmates to gain experience with the various communication techniques prior to utilizing them in the clinical setting. The culminating course assignment is a video role-play based on an assigned patient case history. Students work in groups and “act out” all interactions between health care provider and the patient and/or caregiver. Students also include a presentation to a “dentist” to demonstrate their ability to adjust their communication style from a patient with low OHL to an oral health professional with high OHL. By watching the communication techniques applied in the video, student comprehension of course concepts was assessed by the course instructor, including the student's ability to adjust their methods when needed. Because students were aware that they would be on camera, they carefully selected roles for each group member and prepared a script with dialog that was consistent with the OHL data for the patient in their assigned case. Many students even donned costumes to extenuate their given part (e.g., a wig, hat and a mustache to play a father of a patient). Students learned to consider details such as when to sit the patient up to achieve eye contact and when to use specific terminology to explain dental caries and/or periodontal disease that was different from those learned in their basic science and pre-clinical courses. In addition, they had to consider when and how to adjust the inflection of their voices when patients or caregiver student actors appeared anxious, angry or perplexed about what was being discussed. Students evaluated the course anonymously via an opinion/Likert scale evaluation instrument, with questions rating the quality of the audiovisual material, scheduling, correlation between the material presented and what was assessed on the assignment in addition to an overall rating of the course. Overall responses were positive. Students indicated that the videotaped role-playing assignment allowed them to pull the course concepts together in a fun and meaningful way. Overall, students felt the course helped further prepare them to interact with patients in the clinical setting, however, some expressed that scheduling of the course during winter semester was stressful due to requirements in other courses. Some students commented that the videotaped role-playing assignment was to time consuming for a 1 credit course, and that student comprehension and ability to apply course concepts could be evaluated in a manner that was less time intensive. Based on student feedback and faculty discussion, learning activities and evaluation strategies related to OHL and patient communication will be delivered at multiple points throughout the 2–year dental hygiene curriculum at the University of Maryland. The majority of the course concepts will be presented in the classroom toward the end of the fall term for first-semester dental hygiene students. Students will then practice communication techniques through role-playing activities in a simulation lab which will enable multiple faculty members to provide feedback to student groups. Evaluation strategies for the fall 1 credit course will include a quiz on concepts presented in class and a group assignment to submit a script for a video role-play. The script will encourage students to apply communication techniques but will take less time than developing a full-length video. Senior dental hygiene students will have the opportunity to utilize OHL course concepts both with patients in clinic and for combined assignments from community oral health and senior seminar courses. Student groups are required to develop plans for a community oral health program to address access to care needs for a low-income population for the community oral health course, which provides a target audience for students to a deliver an oral health presentation for the senior seminar course. Combining requirements from the 2 courses will encourage dissemination of oral health information, providing students with more experience using communication techniques. This also aligns closely with Maryland's Oral Health Plan which aims to improve the oral health of at-risk communities. Lastly, students will gain additional exposure to individuals from various cultural, socioeconomic and geographic groups, further developing their cultural competency. Oral disease still plagues a significant portion of the American public even though it is, in most cases, preventable. Those most affected by oral disease are from lower-income groups, as they lack the health care knowledge and financial resources to seek treatment. Poor oral health impacts overall health and negatively influences quality of life in terms of nutrition, self-esteem and the ability to attend work and/or school. Challenges of navigating an increasingly complex health care system persist, further perpetuating oral disease in America. Disease experienced in childhood may continue into adulthood, increasing the likelihood of inadequate parent modeling of proper oral health behaviors to their children. A solution to this vicious cycle is to shift the focus in America from treating oral disease to preventing disease through increasing OHL. Once American citizens, including health care workers, legislators, insurance companies, educators and community leaders, perceive oral health and general health as equally important, the goal of improved oral health in America is attainable. Increasing OHL among all population groups is critical in addressing poor oral health in the U.S. Dental hygienists are in a unique position to make a difference in this initiative as their primary role is prevention via patient education and establishing positive patient interactions. Communicating more effectively with patients can overcome a cadre of barriers and assist in empowering patients to make positive oral health decisions. Educating dental hygienists on effective communication techniques and on the significance of increasing OHL levels are consistent with national initiatives to integrate this content into professional health education curricula. This OHL and communication course was a success as measured by student evaluations, and could serve as a model for other dental hygiene programs. I would like to express my sincere gratitude to Kathryn Battani, RDH, MS, Health Education Coordinator, Maryland Dental Action Coalition for her selfless mentorship in writing this article. Lisa E. Bress, RDH, MS, is an assistant professor for the Dental Hygiene Program in the Department of Periodontics at the University of Maryland, School of Dentistry.
. Surveillance for dental caries, dental sealants, tooth retention, edentulism, and enamel fluorosis – United States, 1988–1994 and 1999–2002. MMWR Surveill Summ. 2005;54(3):1-43.
. Is 75 percent of dental caries really found in 25 percent of the population? J Public Health Dent. 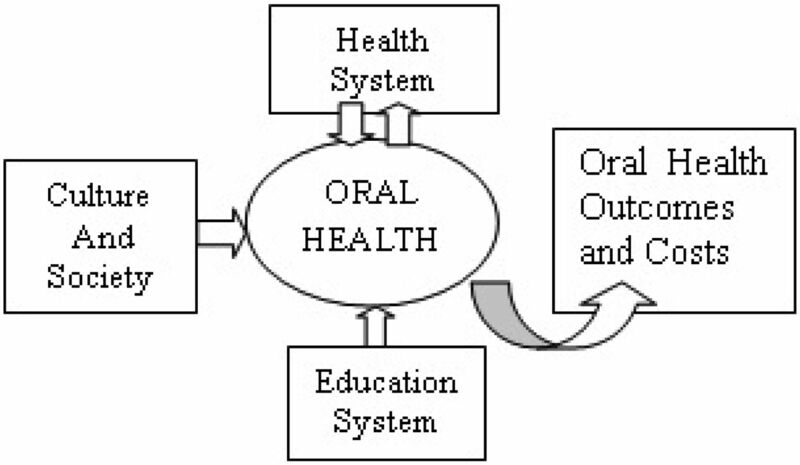 2004;64(1):20-25.
. Trends in oral health status: United States, 1988–1994 and 1999–2004. National Center for Health Statistics. Vital Health Stat 11. 2007;(248):1-92.
. Health Literacy: A prescription to end confusion. National Academy Press. 2004. Health literacy: report of the Council on Scientific Affairs. Ad Hoc Committee on Health Literacy for the Council on Scientific Affairs. JAMA. 1999;281(6):552-557.
. Healthy People 2010. U.S. Department of Health and Human Services, 2010.
. Oral health literacy: The new imperative to better oral health. Dent Clin North Am. 2008;52(2):333-344.
. Literacy and health outcomes: a systematic review of the literature. J Gen Intern Med. 2004;19(12):1228-1239.
. Health literacy and child health outcomes: A systematic review of the literature. Pediatrics. 2009;124(3):265-274.
. Development and testing of the test of functional health literacy in dentistry (TOFHLiD). J Public Health Dent. 2007;67(2):105-112.
. Brief questions to identify patients with inadequate health literacy. Fam Med. 2004;36(8):588–594.
. Measuring patient views of physician communication skills: development and testing of the communication assessment tool. Patient Educ Couns. 2007;67(3):333–342.
. Meta-analysis of correlates of provider behavior in medical encounters. Med Care. 1988;26(7):657-675.
. Patient expectations of emergency dental services: a qualitative interview study. Br Dent J. 2004;197(6):331-334.
. Dentist-patient communication techniques used in the United States: The results of a national survey. J Am Dent Assoc. 2011;142(5):518-530.
. A prescription for cultural competence in medical education. J Gen Intern Med. 2006;21(10): 1116-1120.
. The dental hygienist's role in patient home-care motivation. Access. 1999(Special Supplementary Issue):1-12.